Note: This is a rough estimate, please contact us at 816-260-5775 more accurate estimation. The variance calculations are a ball park figures for an idea of job costs. $2.00 per square feet variance could be expected. Several other job site variables can effect the cost. Be sure to understand only after we are called out and give an onsite bid estimation should you have your mind focused for cost. We never want to cause confusion, We just would like your questions on cost to be on the same page at best before clients spend valued time in research. 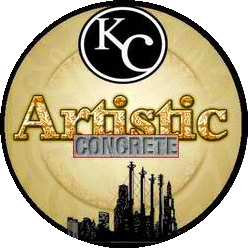 Thank you for visiting KC Artistic Concrete. We look forward to earning your business.